﻿Would You Go On A Small Cruise Boat Instead Of A Cruise Ship? You may have had the opportunity to cruise on a big ship with the many amenities the ship has to offer for an ultimately relaxing holiday at sea. However should you feel that you may like to try something of smaller scale… much smaller scale. Cruise ship versus Private Yacht. Have you ever thought about it? Going on a cruise ship with 1000 of other people which brings you from port to port, but afterward, you have no clue where you have been in the first place… exactly, that’s the reason why going on the private yacht is the ultimate way of celebrating a holiday. Okay, it might be a bit smaller, but you still have the same comfort, believe me, when I say, you will have lots of more comfort, endless itineraries to choose from, with lovely deserted bays where you can swim and snorkel all day long. Are you more the lively type of person? 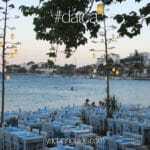 No problem at all, we will show the best places in Bodrum and Marmaris! 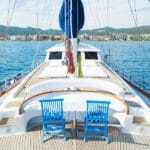 A small ship such as a gulet offers a what is called a luxury blue cruise. If you have not yet experienced a luxury blue cruise cvacation, it may be a nice change for your next get-a-way. Of course amenities are of smaller proportions and fewer but it is a more personalized experience. Private boat charter holiday pleasure. Can you enjoy a setting like this? 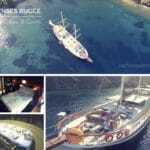 Pivate gulet cruise travelers benefit from custom tailored services. 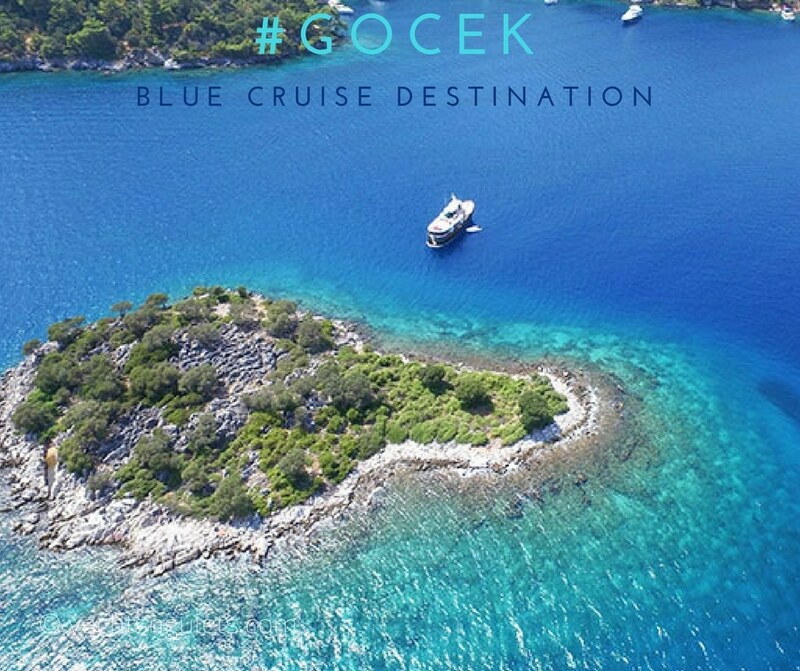 Unlike a cruise ship where your services are distributed between thousands of other passengers on the same ship and in line-ups; there are no lines to join with these magical blue voyage travels. Guests also have the choice in itinerary. The routes can be planned and organized based on personal preferences in destinations and activities. There is no big swimming pool or sauna, but you do have the sea where all the privacy of small bays is yours to enjoy all types of water activities. 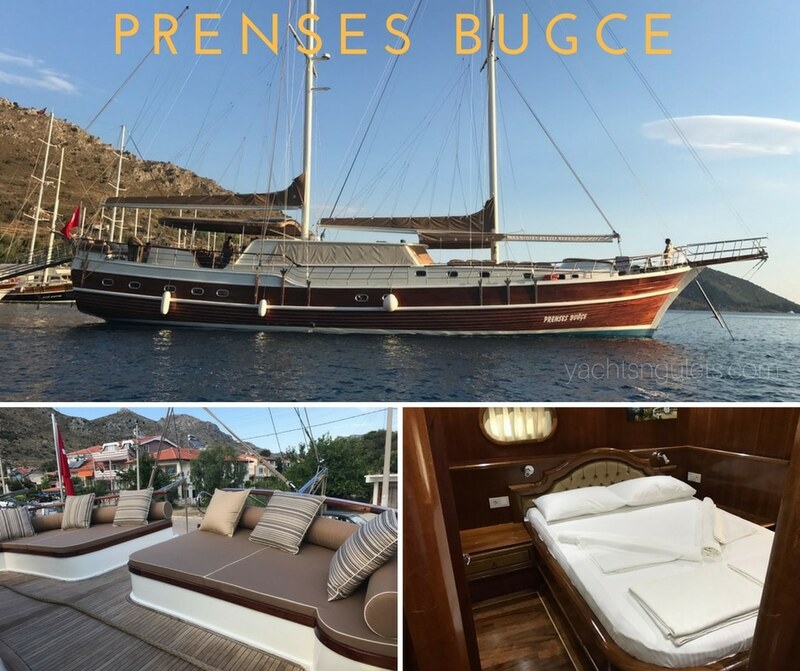 Mind you the higher end gulets or sailing yacht charters do provide sauna facilities and jacuzzis located either on deck, the fly bridge and/or master cabins. 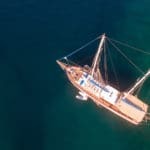 With these more personalized services and amenities, choice in destinations and overall itinerary, meals and other services; would you go on a small cruise boat – like a gulet, or a large sized cruise ship instead?